Royal Caribbean is greatly anticipating the arrival of their newest and largest ship, Symphony of the Seas. She comes in at a total of 230,000 gross tons and will be able to carry close to 9,000 passengers. This makes Symphony almost five times larger than the Titanic. Symphony is set to debut on March 31, 2018 and will feature the seven different neighborhoods, just like her sisters. These neighborhoods include the Boardwalk, Central Park, Royal Promenade, Entertainment Place, Pool and Sports Zone, Youth Zone, and Vitality at Sea Spa and Fitness Center. Also like her sisters, Symphony will feature robot bartenders at the Bionic Bar, the AquaTheater, and the Ultimate Abyss (Harmony and Symphony only). Unlike her sister ships, she will feature the largest casino at sea. 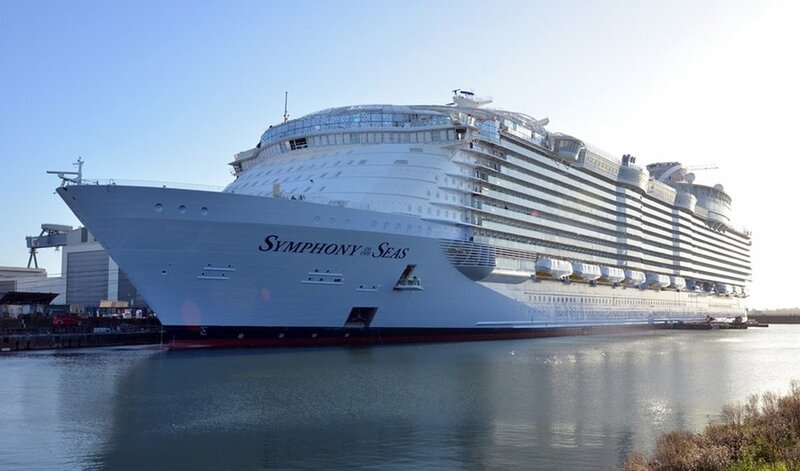 Symphony will make her inaugural sailing in the Mediterranean. She will then make a transatlantic voyage to Port Miami and sail seven night cruises to the Eastern and Western Caribbean.